Going gluten-free can really hit hard. But chin up: There's absolutely nothing that they can make with gluten which we can't make without. 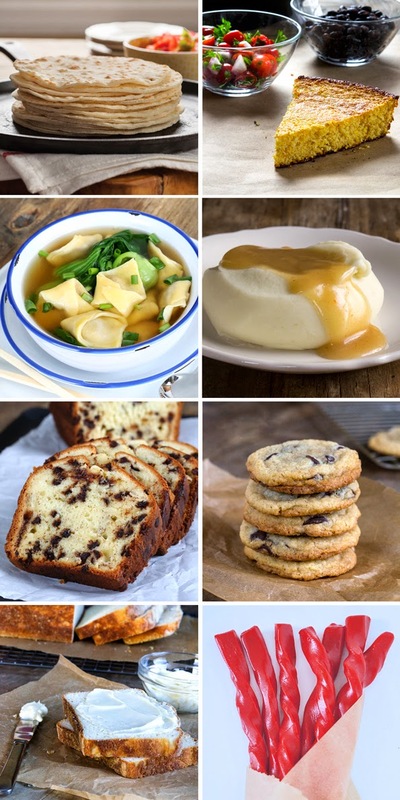 These eight gluten-free recipes are the ones you want to master so that you really just won't feel the pinch of that missing gluten -- and you won't be tempted to cheat on your gluten-free diet. With them, you'll pack those school lunches without a problem, wrap up a burrito for a quick dinner, serve the proper side with your famous chili (cornbread! ), make gravy or cheese sauce for macaroni and cheese, bake for the bake sale, and even satisfy that gummy-loving sweet tooth. Nothing is out of reach! 1. Gluten-Free Flour Tortillas: The best thing about these flour tortillas is just how authentic they taste. The second best thing? They freeze beautifully. Just let them cool, then wrap them in a stack (no need to place any parchment in between the tortillas--just stack 'em up) in freezer-safe wrap, and place them in the freezer. Defrost them overnight in the refrigerator, or even in a quick spin in the microwave. I always have at least a dozen in my freezer. I consider it dinner insurance. 2. Old Fashioned Gluten-Free Cornbread: If flour tortillas are always in freezer, this easy all-cornmeal, no-flour skillet cornbread is always at the top of my mind. It is a super-easy recipe to throw together, and bakes in about 20 minutes. It's the perfect accompaniment to that tried and true naturally gluten-free chili recipe your family loves, and I've even served it for breakfast, drizzled with a bit of honey. 3. The Best Gluten-Free Wonton Wrappers: Unlike conventional wonton wrappers which are sold ready-made in large grocery stores in the refrigerated case, if we want gluten-free wonton wrappers, we have to make them ourselves. And since wonton wrappers are the foundation of everything from eggrolls and crab rangoon to steamed dumplings and wonton soup, this is a gluten-free recipe to master right now. 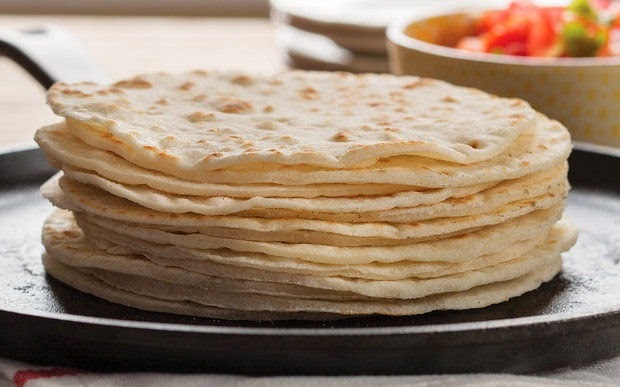 Like the gluten-free flour tortillas above, they freeze beautifully, stacked without filling, or filled and shaped. You can even boil filled wontons in soup without defrosting them at all! 4. Basic Gluten-Free Flour Roux: A flour roux is really one of the simplest ways to thicken everything from soups and sauces to cheese sauce and gravy. But have you ever tried to make a gluten-free flour roux with a gluten-free flour blend that contains xanthan gum or guar gum? Not a good scene. Master this recipe for a basic gluten-free flour roux, and you can even follow a conventional recipe the rest of the way. 5. Gluten-Free Chocolate Chip Yogurt Quick Bread: Quick breads are nothing more than baked goods that are leavened with chemical leaveners (such as baking powder and baking soda), instead of yeast. So, all muffins are quick breads. So are most cakes and cookies. But not every muffin recipe will work well in a loaf pan. This recipe for a tender gluten-free yogurt quick bread, made here with miniature chocolate chips (but you could use any dry mix-in piece you like), is a wonderful basic quick bread loaf recipe to have in your back pocket. 6. Soft Batch Gluten-Free Chocolate Chip Cookies: Whenever someone new to gluten-free eating, who is a bit spooked and afraid to bake, asks me what they should bake first, I always say "drop cookies." No rolling out cut-out cookie dough when you're right starting out. Just drop cookies, which you "drop" by the tablespoon on a baking sheet and bake away. These gluten-free chocolate chip cookies are rolled into big, round balls of dough, and they bake into a thick, pillow-soft cookie that tastes like it just came out of the oven, even once it's cooled. 7. Gluten-Free English Muffin Bread: Did someone say lunch? This is the easiest, softest, and fastest gluten-free yeast bread, and it is absolutely perfect for those school lunches. There is no shaping involved in making English Muffin bread, as it's a very, very soft dough. No learning curve! 8. Gluten-Free Red Cherry Licorice: Finally, gluten-free licorice. Read the package on most licorice, and one of the very first ingredients is wheat flour. It's just one of those things that most people just don't realize isn't naturally gluten-free. It's candy! It should be safe, right? Well, break out those candy thermometers. This is a fast and easy recipe, and it's one to master early on because you will feel like a total gluten-free rockstar when you pull it off.